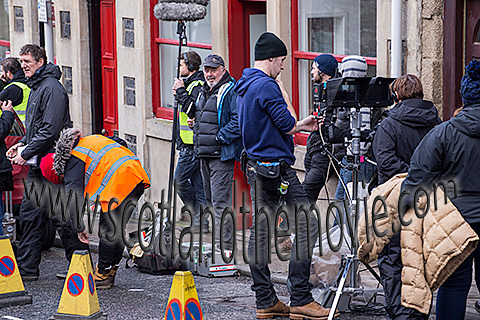 A small scene less than a minute long shows Stewart Gilmour (Christian Cooke) observing Ellie Murstan (Charlotte Spencer) from his car outside the Friends of Stonemouth Substance Recovery Partnership. 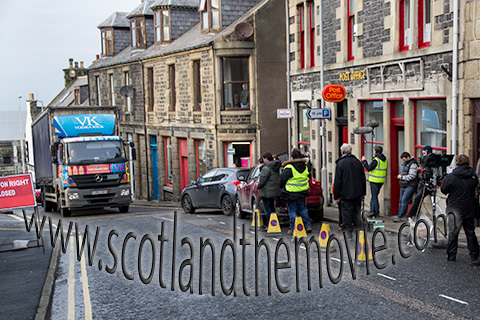 Filmed at the corner of Church Lane and Duff Street in Macduff over the course of many hours and many, many retakes (due in part to having to film on a road open to passing traffic). 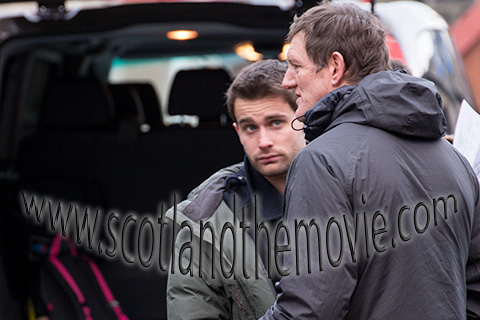 Photos below show this Macduff Stonemouth location during filming on 19th November 2014. 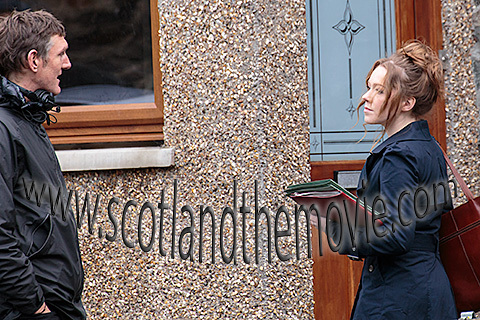 If you're wondering what the folder Ellie (Charlotte Spencer) is carrying see below. 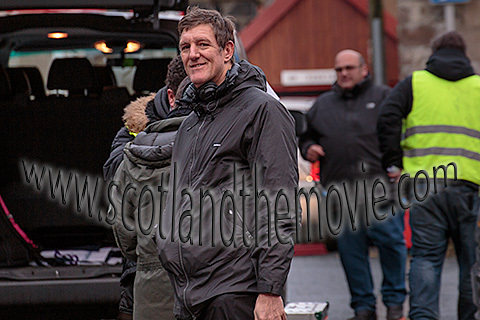 Nice attention to detail here as I don't think you actually see it closeup in this episode. 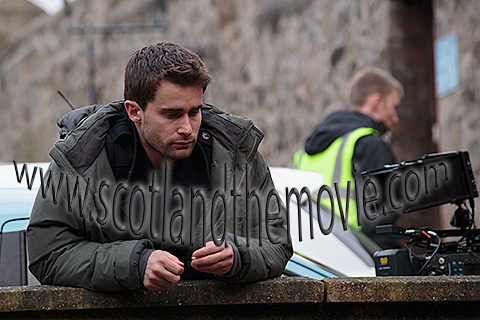 A long day of filming seems to be taking it's toll here on Christian Cooke (below) but Stonemouth director Charles Martin seems happy to have called it a day filming at this location (2nd below).